Made It Halfway Through Your Photo 365 And Need Some Ideas/Inspiration? Congrats for making it this far with your Photo 365/Project365! It’s called a challenge for a reason! But you might be having a hard time coming up with some ideas…so how about a few from the Learn Photo365 Photography Assignment app to help you back on track! One of the new assignment additions is a 30 day subject challenge, where it gives you a random subject to photograph for an entire month! The challenge of course is to find interesting ways to shoot the same subject. A lot of fun can be had with action figures. 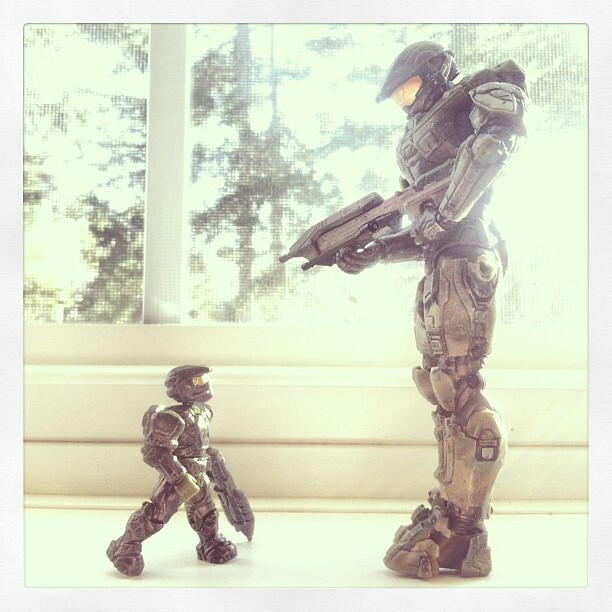 I did a short series of shots with my son’s Master Chief from Halo. Backlight, spotlight, sidelight, top light, and of course, monster lighting. Put the figure against a colored background that contrasts it’s color or tone. Or if it’s a “boy” toy, put it with a bunch of “girl” toys. Grab a bunch of action figures and see what interesting patterns you can make. Make it a fun game by hiding them in a location and seeing if your viewer can find them. For eve more ideas, check out my LearnPhoto365 Photography Assignment Generator Apps on the app store, a unique photography app that’s meant to inspire you to take great photos! Perfect for anyone taking part in a Photo 365 challenge, there are over a hundred individual assignments and hundreds of thousands of potential random ones. Versions available for iPhone/iPod and iPad, including free versions so you can try them out! Full details, including reviews and tour videos of the apps can be found at www.learnphoto.ca/apps Even if you only download the free version that would help get it up the app store lists! Come up with a list of words/descriptors that you can attempt to find with your camera! Here’s a random list of 10 words I just got from the app! This assignment gives you a random object and technique to shoot it with. It can come up with some pretty crazy combinations! Illustrate your favourite quote, song lyric, poem, saying, riddle, or book passage with a photograph! Here’s two from the app! Add your photos to your flickr stream, then JOIN the group and select ADD PHOTOS. 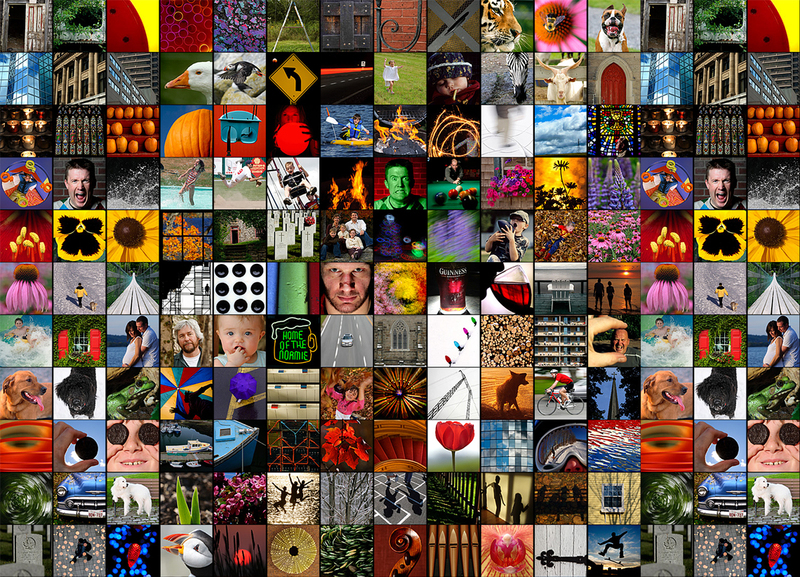 Best of luck with the next half of your Photo 365! Photography Assignment Generator Apps now available on the app store! Work Done by My Students! ← How To Photograph Fireworks For Canada Day or 4th Of July! © 2019 - LearnPhoto365 Designed on rtPanel WordPress Theme Framework.